Starfall Tactics is a new Free-To-Play RTS, by developers Snowforged Entertainment, coming out in the near future. It is powered by Unreal Engine 4, and it looks absolutely gorgeous. It has a big focus on customisation, and players will be able to unlock and discover new parts for their ships before entering into battle. 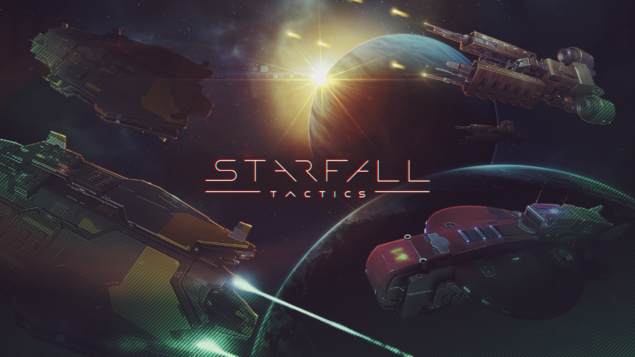 Starfall Tactics, is still in its pre-alpha stage, but it already looks to be shaping up great. You can check out the the official site, which is expected to be updated with more information on the game pretty soon. 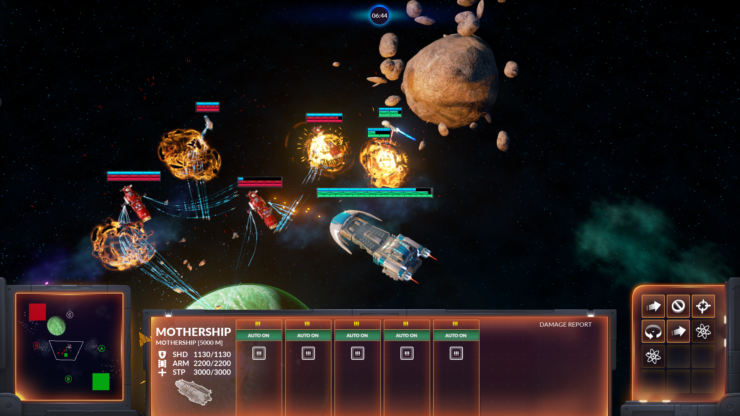 In a decaying, war-torn galaxy dominated by three rival factions, you can assemble your own spaceship flotilla and lead it into battle. Adapt to new challenges by customizing and decking out your ships. Evolve your tactics by unlocking new parts and finding rare ship modules. Dominate the battlefield and create a name for yourself among the stars. 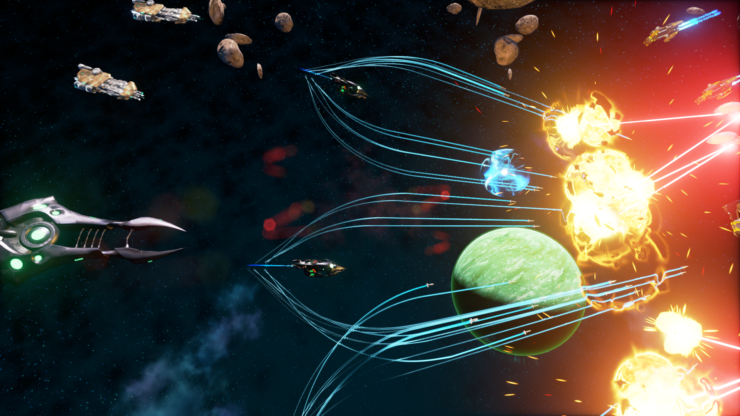 Fight your battles using a variety of ships – from subtle frigates, to deadly cruisers and heavy dreadnoughts. However, a reliable fleet isn’t the only ingredient for success. Effective commanders will have to rely on their ability to properly assess the situation, taking into account many factors, such as the equipment of enemy ships, the surrounding environment and the available technology. 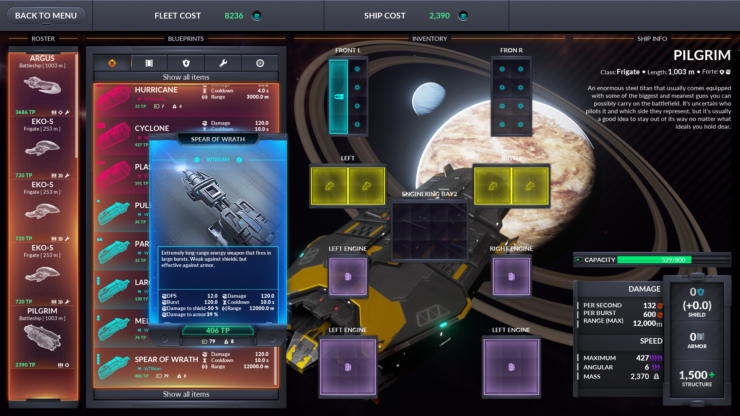 Everything in Starfall Tactics, from the hull of your ship down to the individual engines, is created using blueprints. 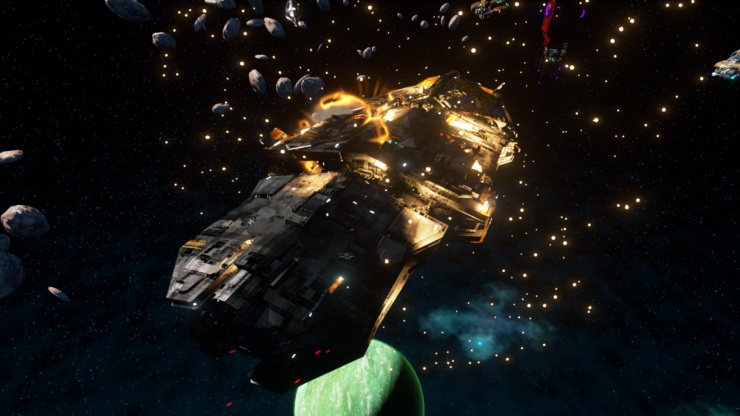 Players can easily customize and outfit ships, adapting their tactics for a variety of situations. 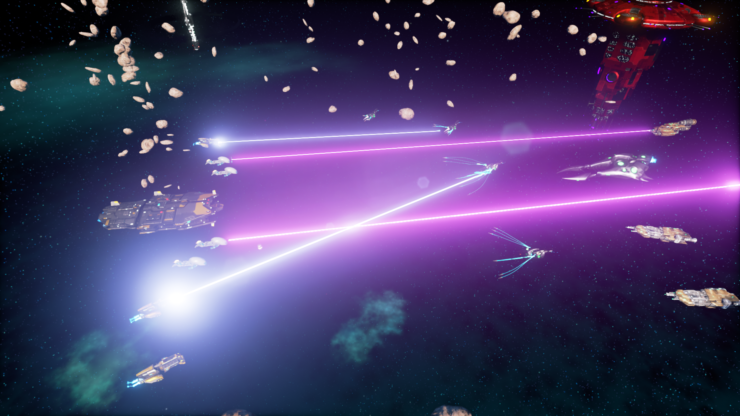 Every choice matters – the diverse range of tools directly influences your strategy against opponents and allows you to create truly unique fleets. Earth was dying. Centuries of accelerated population growth and unchecked environmental policies have left it in ruins. There was no use prolonging the inevitable, so a planet-wide evacuation was set in motion. The course was set to Ancora – the nearest planet fit for terramorphing. This moment is remembered as one of the greatest technological achievements of the human race and a time of great triumph for many. But what most history books leave out is how many people didn’t get a saving ticket to the shuttle. After the exodus from Earth, humanity split into two major groups who, while not exactly fond of each other’s company, were never in open conflict.This all changed when an unidentified alien vessel crash-landed on planet Tartarus, right on the border of a contested region. Neither party agreed to give up the mysterious cargo, which lead to an all-out war, fueled by centuries of ideological hatred.Meanwhile, back on Earth, the last of the planet’s inhabitants have emerged from the ashes of what was once their home. Robbed of any resemblance of security, with no future to behold, they demand retribution from the original colonists for dooming their homeworld. Things are about to get ugly. Ruthless, assertive and above all, devoted. Originally an independent militant organization created by settlers that dreamt of establishing a Far Left regime on Ancora, Vanguard actively supports the spread of their particular brand of socialism. Described as totalitarian, if not outright despotic, Vanguard ‘s vision of the future is dictated by a mysterious patriarch, referred to only as «Father». Discipline and obedience are considered to be the highest virtues and are actively enforced by the authorities.Servants of the regime warn against the dangers of carelessness concerning the human condition. Cloning, artificial intelligence, transhumanism— people fighting under the red and blue banner strongly believe that technology and morality aren’t on the same page anymore. Perhaps, they just feel like they can’t catch up to it. But try saying it to their faces when Vanguard’s armada is at your doorstep. Countries, planets and even entire star systems — nothing is too big for Eclipse Incorporated to call its property. What started out as a small mining facility on the outskirts of Ancora quickly grew into the all-engulfing corporate behemoth everyone knows today.Gargantuan factories full of worn-out workers, hot-tempered billionaires gambling away their fortune, informants risking their lives for snippets of intel – Eclipse’s presence can be felt behind every shady deal and corporate acquisition that influences and twists the lives of millions.Odysseus, a planet that harbors the corporation’s headquarters, is a capitalist wonderland where artists, scientists and engineers work together to shape the bizarre world of tomorrow. They serve as a glamorous façade for an austere establishment where back-stabbing and back office politics are the order of the day. All under the supervision of MINERVA, of course – a mysterious Board of Directors.No one knows how old the Directors really are — it’s impolite to ask — but being the original founders of the company puts them somewhere between five and six hundred years. Exiles, outlaws and descendants of those who were left for dead on Earth many years ago. These people have been living in a radioactive wasteland for many generations and it left palpable marks on their appearance, lifestyle and, as any Vanguard soldier will be quick to tell you, mental health.Hiding deep below ground and occasionally emerging on the surface in search of food and supplies, the last of the planet’s inhabitants were like vermin digging into the body of a corpse. With food shortages, frequent hazards and the population slowly shrinking, they were destined to eventually disappear altogether.That changed when the Black Blizzard, a prolonged environmental disaster created by drought, erosion and dust storms, forced the lost sons and daughters of Terra to flee their dying homeworld. Now, the self-proclaimed “Deprived” are launching a space program from scratch. Spurred on by a mixture of hope, anger and resentment, they want to claim a piece of space to call their own. Even if it means seizing it from others. Snowforged Entertainment is currently focused on PC Windows. The availability/schedule for Linux and Mac versions is to be determined. We will keep you informed with any news regarding this very promising new title as soon as it becomes available.